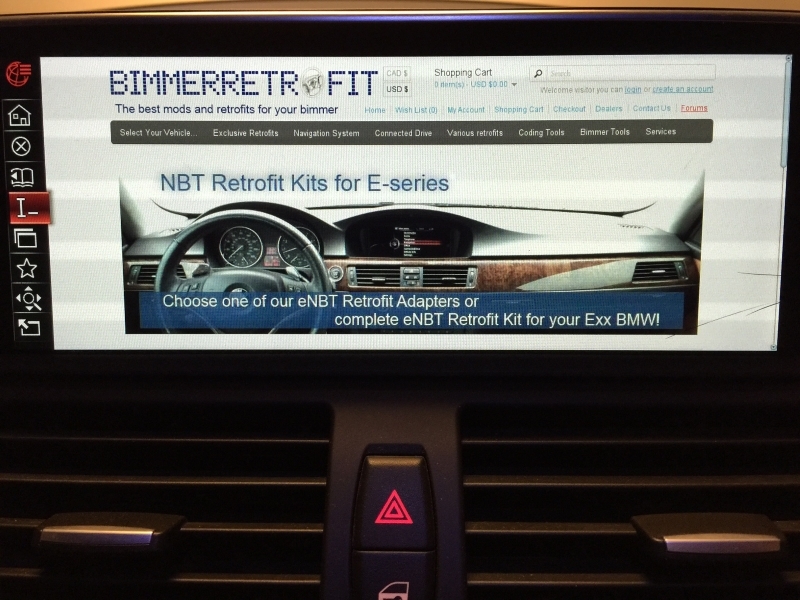 Bimmer Retrofit is launching a new service: RTTI Real Time Traffic Information and Online Services activation for all BMW NBT owners. This service will let you see RTTI Real Time Traffic Information, and various online services on the NBT display. This service will be available to all BMW owners, whose vehicles are equipped with NBT head unit (installed from factory or retrofitted)*. This option will have a hardware component, consisting of a telematics unit and wiring set. As the retrofit matures, more services will become available. GSM SIM card with data plan from your local cellular provider will be required. For this option, no additional hardware is required; retrofit will be made possible using your own cellular phone with data plan and internet tethering connection. *At this time, the RTTI retrofit is available for beta testing to our existing and future customers who purchase(d) from us either a complete eNBT Retrofit Kit or an NBT retrofit for F-series. RTTI service is available in Canada and USA only at this time. Your own data plan connection will be required. For an average customer, the monthly usage will be around 500MB/month, but will vary according to driving habits and other factors. Special conditions apply. For any questions, feel free to contact us at info@bimmerretrofit.com.